Comments: Does well in full sun. Plant tubers in pots in March for early sprouting. Transplant to ground beds outdoors or to larger containers when the night temperatures are 60 degrees F. or above. Performance is very poor in cold, moist soils. 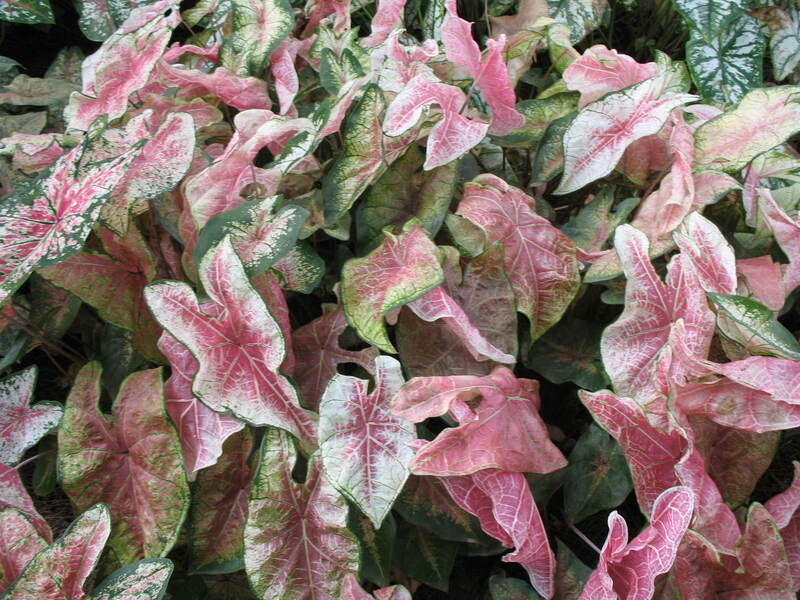 Caladiums should be planted outdoors around May 15. Rot often occurs in cold, wet soils.